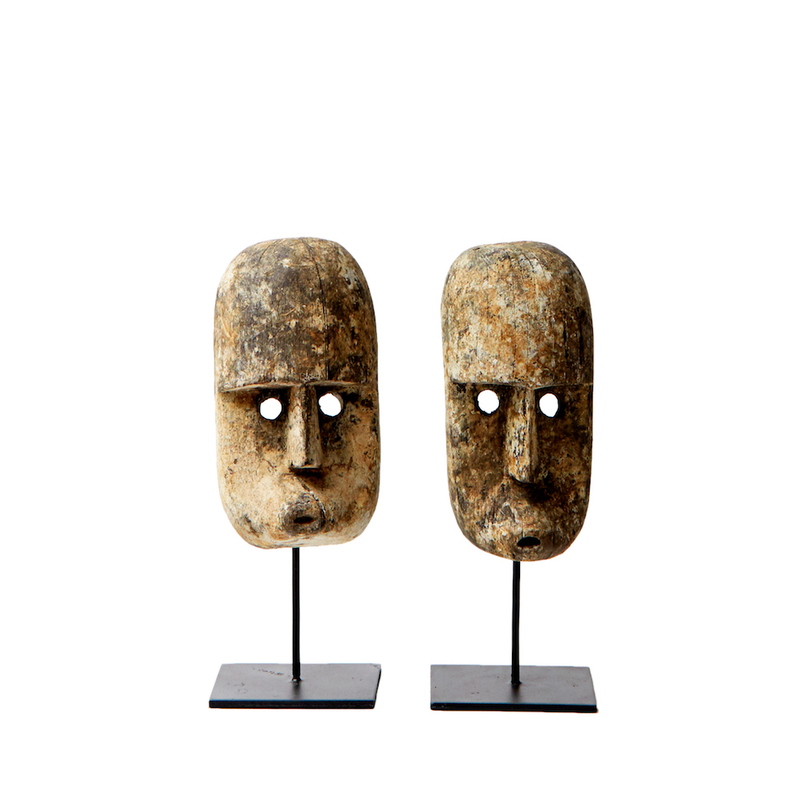 These antique wooden tribal masks originate from the Indonesian Island of Timor and were traditionally used to ward off evil spirits away from homes. Mounted on a discrete black metal frame, these beautiful hand crafted objet bring a real rustic charm to any interior. It is items like this that really bring an interior space to life, adding character. together with other objet can make a real impact. Sold as individual masks. 2 available. For other tribal art and accessories take a look at our Bamileke Stool feature as well as our Indonesian tribal necklaces.